Last month, The Mindful Kitchen Company held its first "Bake and Breathe" session in Lodsworth, West Sussex. We were delighted to share this experience with those of you who were able to came along to The Kitchen School. We particularly enjoyed exploring the essence of mindfulness meditation and preparing the nourishing morning breads. 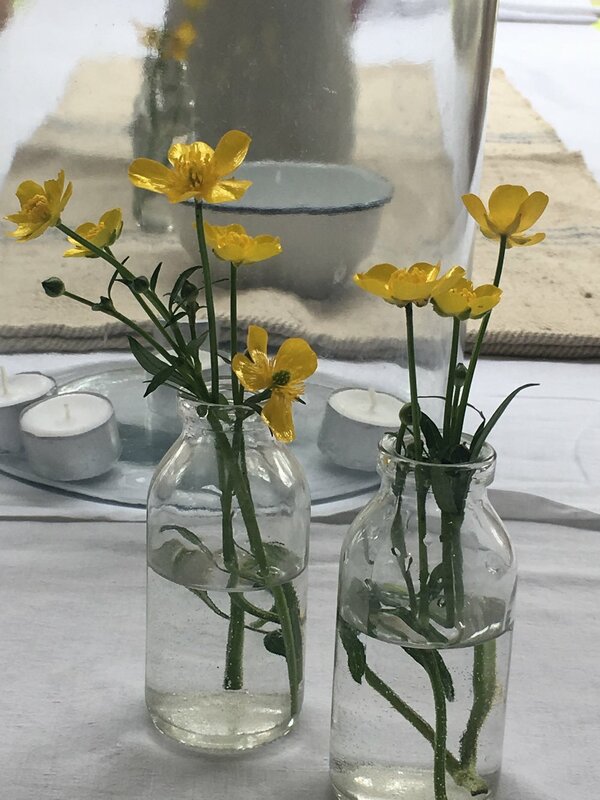 Our mindful walk in the woods of West Sussex provided foraged flowers and salad leaves, with shots of warm berry tisane tucked away in a quiet part of the glade. With time for reflection, the decorating of buns and even some 'deckchair' meditation, we hope the day provided a moment to pause. Over the next week, we look forward to sharing with you some images from our first retreat.